Output and EventEmitter used together to pass data from Child component to Parent component. EventEmitter emits the data that can be received by parent component. 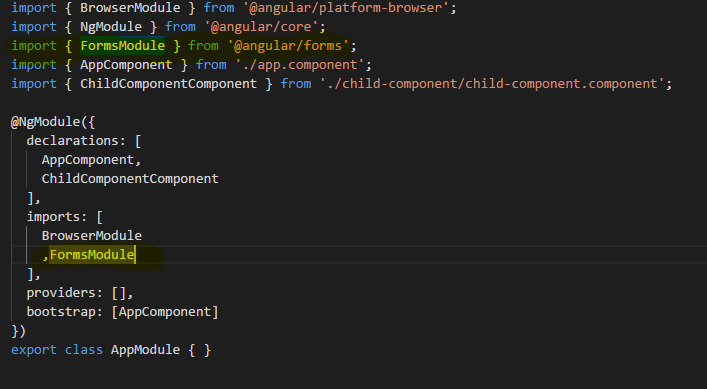 In the below example We have two components appComponent(parent component) and childComponent(child components) child component contains textbox and parent component shows the data when user enters in the child component. Here we have used Two-way binding, we can also use ngModelChange event. I really appreciate for this great information . I want to read your articles.Please update more posts. I usually read them. Thank you very much.